Back with one more product review from Brand Olivia . 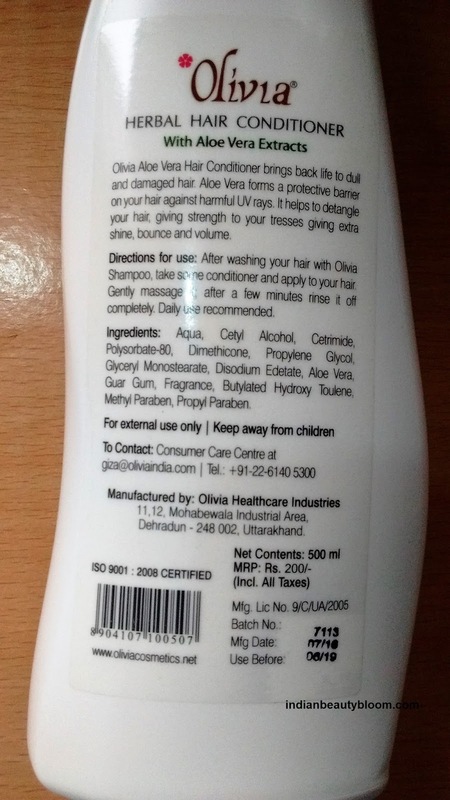 It’s Aloe Vera Hair Conditioner Review . 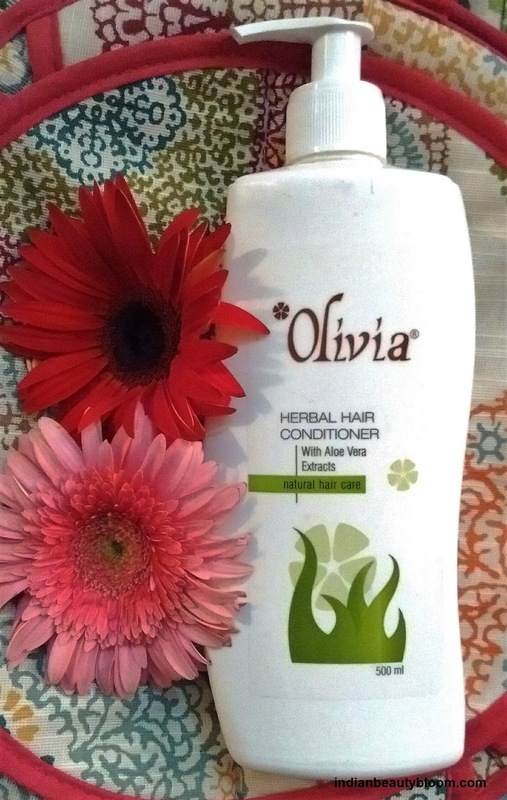 This Olivia Aloe Vera Hair Conditioner is a good product with goodness of Aloe Vera which conditions the hair , protects it from harmful sun rays and gives extra shine , bounce and volume . Price : Rs 200 for 500 ml . Shelf Life : 3 years . The product comes in a good quality plastic bottle with a nozzle at the top from which desired quantity of product can be easily taken out . 1. Contains goodness of Aloe Vera which is good for hair & scalp . 2. Excellent product packaging . 4. Easily available every where on online stores as well as on General stores . 5. Shelf Life is Sufficient for longer use . 6. It does Makes the hair soft & Silky . It’s not a chemical free product , has Paraben , so not good for people who look for Paraben free product . The product claims to nourish hairs and add volume and shine to it . It also claims that it forms a protective barrier and protects hairs from harmful sun rays . I am using this product past few days . It’s a good one with a nice fragrance . It’s white in color and has a thick consistency . It does makes the hair soft . Since I have not used it for a long period of time I cannot say anything about its other claims like protecting from sun rays or adding volume to hair . In general its a good product in affordable range .